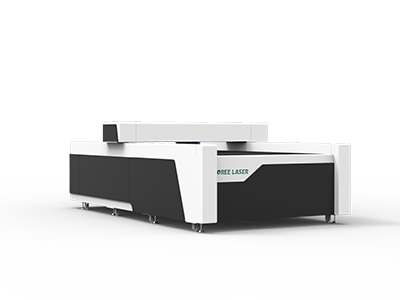 With Oree laser machines​, fine details can be accurately applied to the material as clear, white glass etchings. 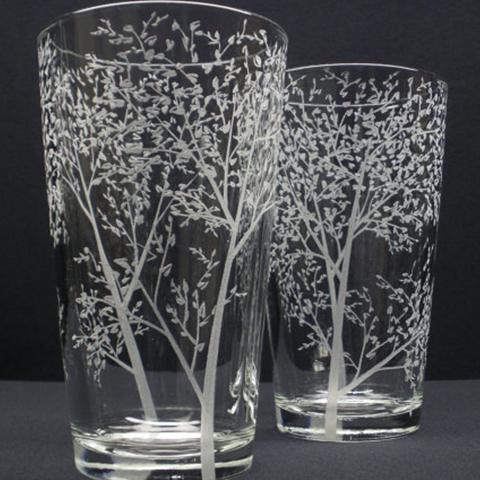 For glass etching with a laser on conical objects (e.g. beer glasses or bottles) we recommend that you use a rotary engraving device, which will automatically turn your work piece during the laser engraving process, so that it remains in the correct position. 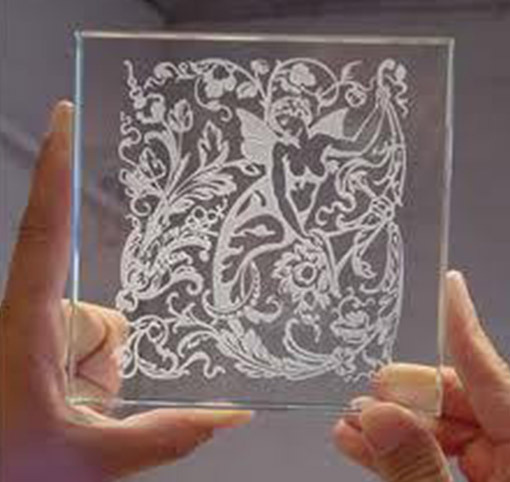 It is not possible to laser cut glass. 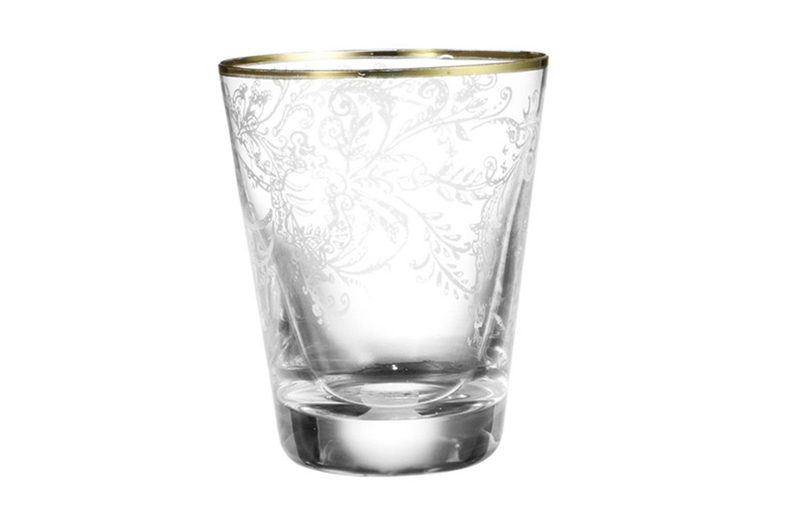 Engrave glass simply and precisely with a oree laser engraving machine.​ Laser etched glass produces a fascinating matte effect. 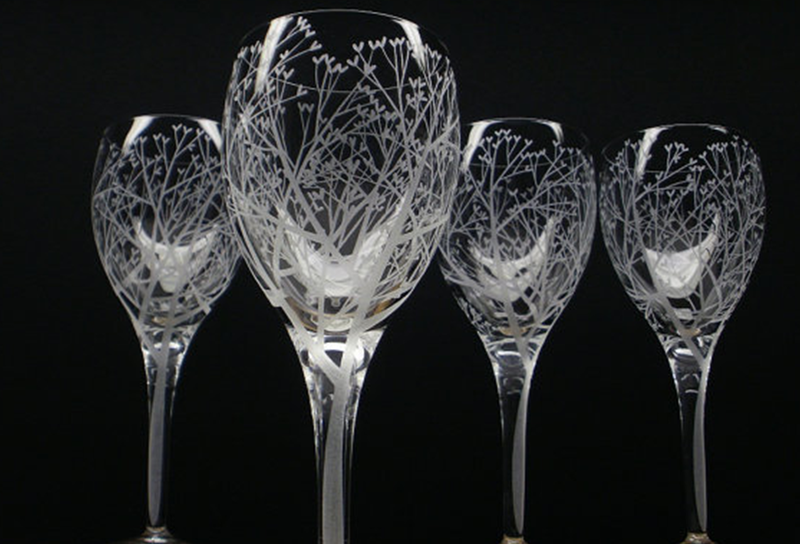 Very fine contours and details can be etched into glass as photos, lettering or logos, e.g. 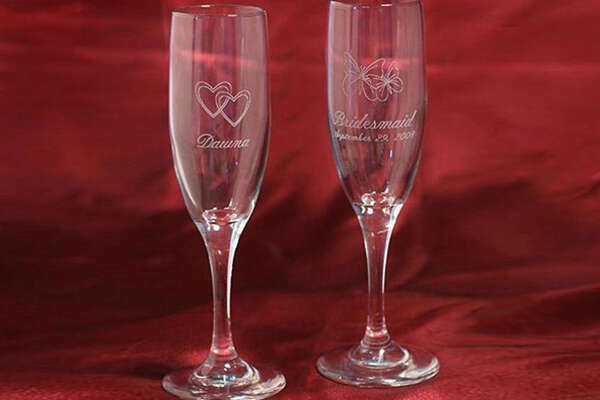 on wine glasses, Champagne flutes, beer glasses, bottles, mirror or window glass. 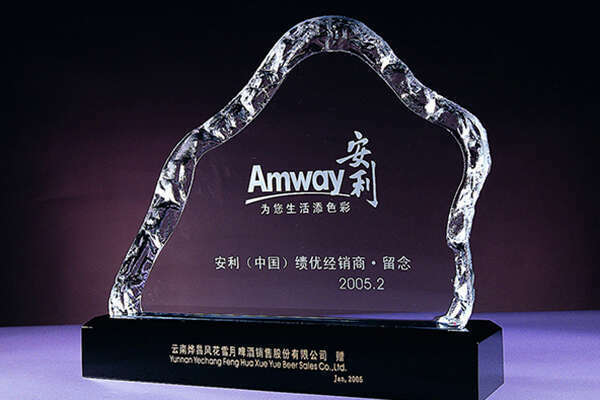 Personalized gifts for parties or corporate events are memorable and make laser-engraved glass unique. 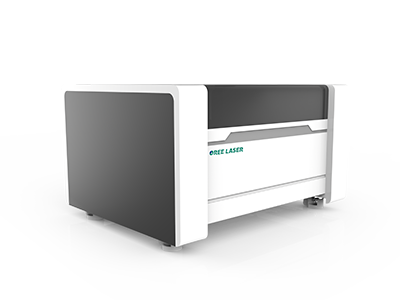 With a Oree Laser machine​, there is no risk of glass breakage due to non-contact processing. 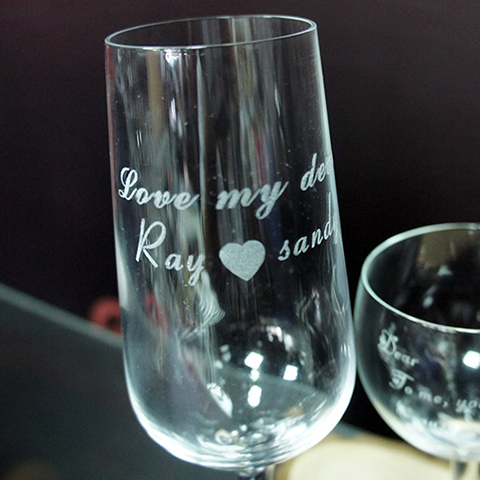 With a glass engraving machine, no templates are required like they are with sandblasting; the etching is done directly on the glass surface. If the glass really must be engraved deeply with sandblasting, the laser engraving machine is useful for producing the perfect templates. 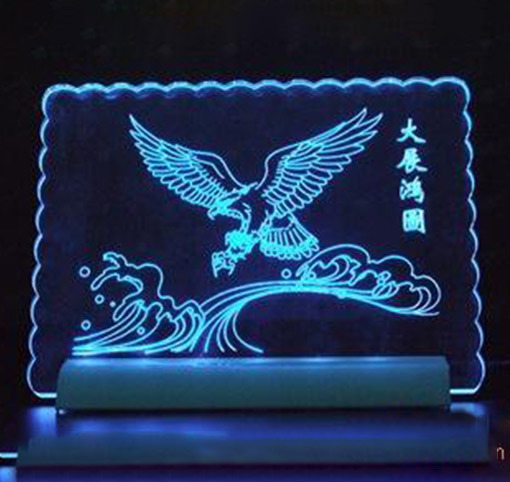 Firmly apply the sandblasting film onto the work piece and cut out the motif with the laser device, the workpiece can then be sandblasted right away.